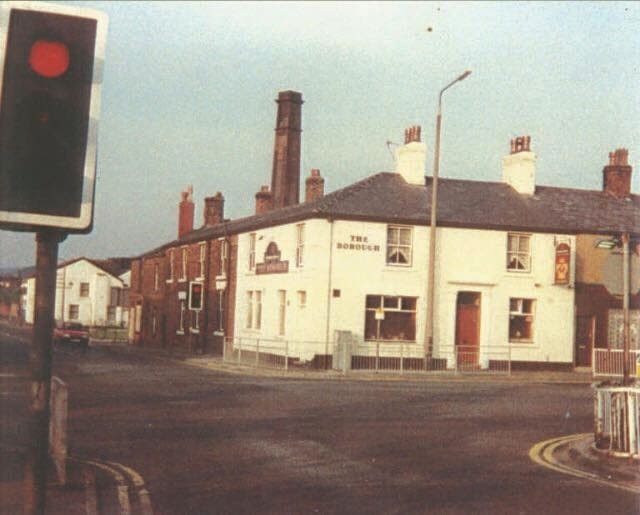 Located on the corner of Lyons Lane and Bolton Street, a busy area of town known locally as "The Duke", the Borough Arms Hotel dates back to around 1850 and in its early days was known as the Burton Ale Store. 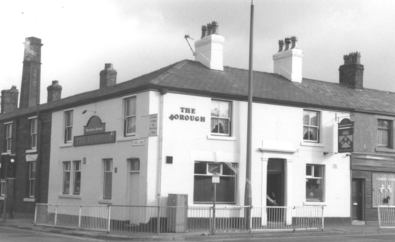 It was also called the Plough for a time in the mid-1900s as the photo below shows. 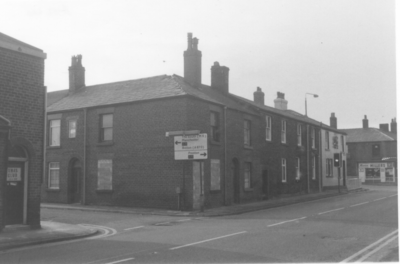 Listed landlords were Richard Latham (1851-61), Mary Latham (1865-79), Henry Latham (1881-82), Allan Tillotson (1889-96), William Jolly (1896-1900), Ann Jolly (1900-1901), Robert Bramwell (1911), Thomas Blackledge (1921-24) and James Holbrook (1936). 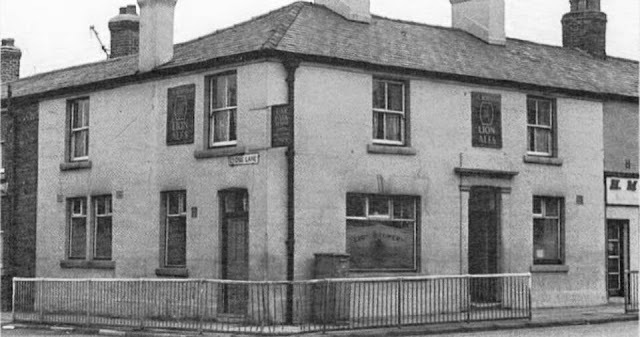 It was between 1870 and 1880 that the numbering on Bolton Street changed to incorporate new properties and the pub moved up the list from number 81 to 97. 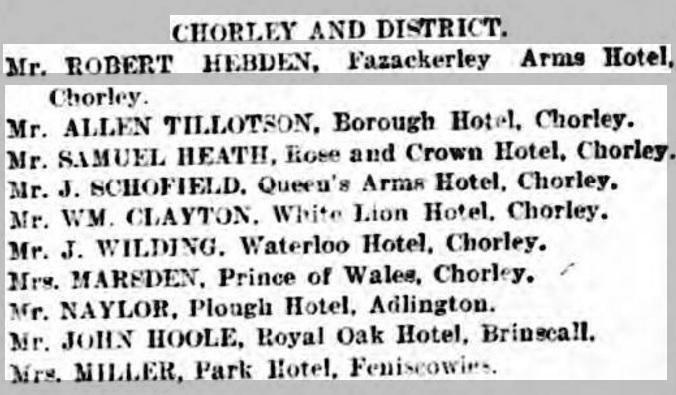 Confirmation of the move can be seen in the Barrett's Directory of Preston & District of 1882 below. 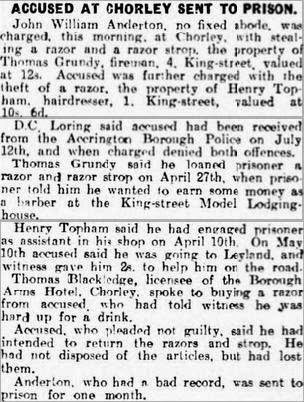 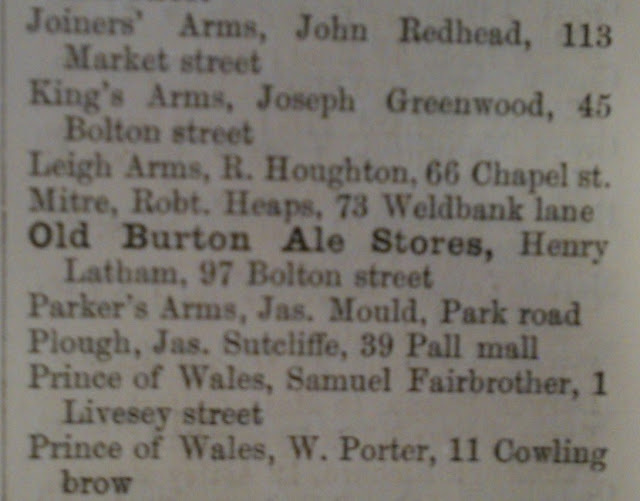 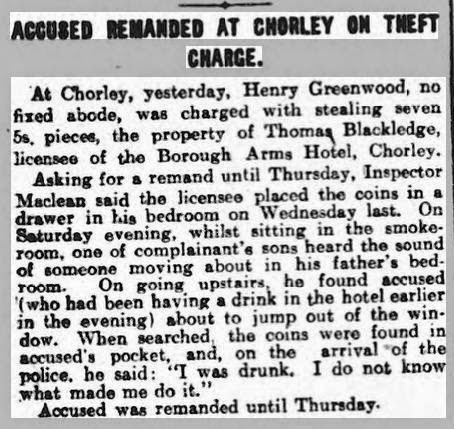 Around this time a number of Chorley's pubs showed affiliation with the breweries of Burton-on-Trent. 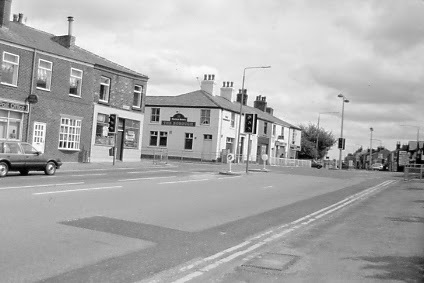 Burton-on-Trent is so identified with the development in the 19th century of India Pale Ale and its domestic spin-off, Pale Ale that we tend to overlook the fact that the town was famous for beer for several centuries before the arrival of IPA. That fame was built on a style known as Burton Ale, a beer that was just as vigorously exported in the 18th century as IPA was a century later. 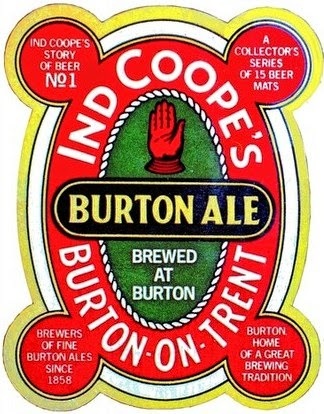 It was Burton Ale that built both the reputations and fortunes of the Burton brewers but as a style it disappeared in the 20th century, taxed out of existence as a result of its strength, and overtaken in popularity by pale ale and bitter. 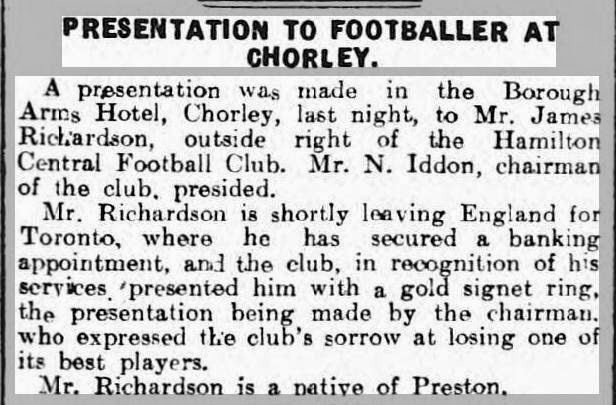 Its fighting reputation may not have helped! From 1851 through to the 1880s the Burton Ale Store was run by the Latham family firstly by Richard Latham (1851-1865) then his widow Mary kept the business going through to around 1880 when Henry Latham took over the reins. 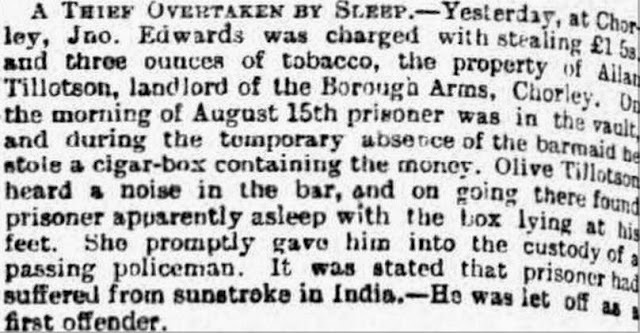 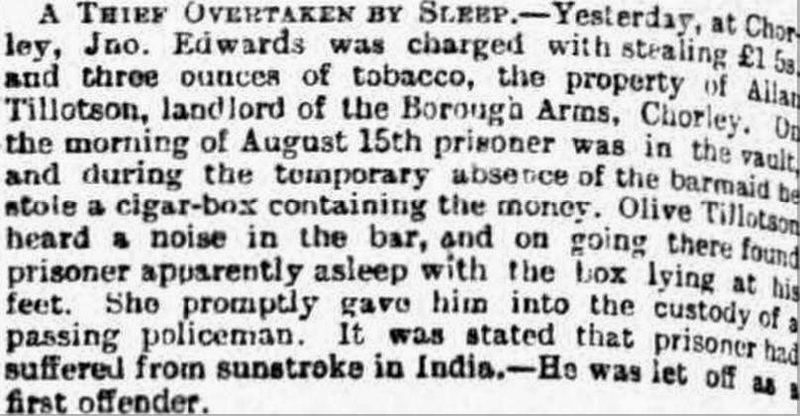 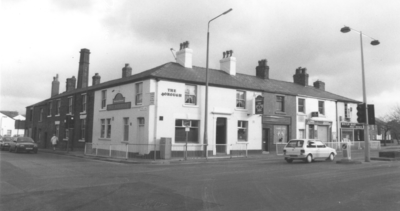 At some point during the the 1880s the pub changed hands, the new licensee being an Allan Tillotson and this also brought about a change of name; The Borough Arms was born. 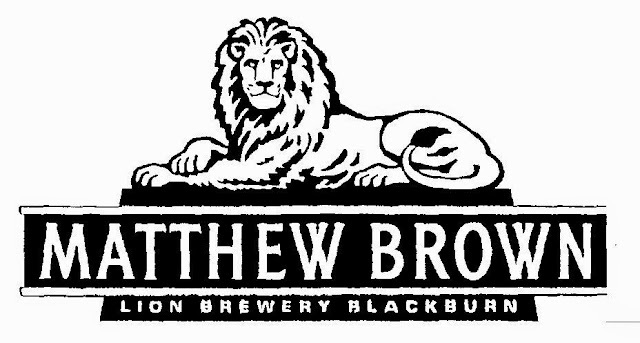 I'm not sure if this coincided with a change of brewery as well but the Borough Arms was definitely a Matthew Brown pub, a local brewery founded in 1830 and originally based at Pole Street, Preston, Lancashire before moving to the Lion Brewery on Coniston Road, Blackburn in 1927 (they ceased brewing in 1991 following a takeover by S&N). 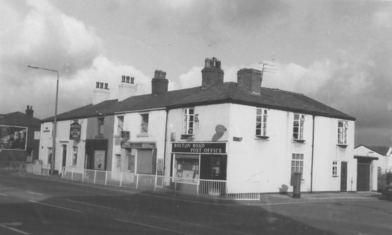 William and Ann Jolly ran the Albion Hotel further down Bolton Street in the early 1890's for a few years before moving to the Borough sometime after 1896. 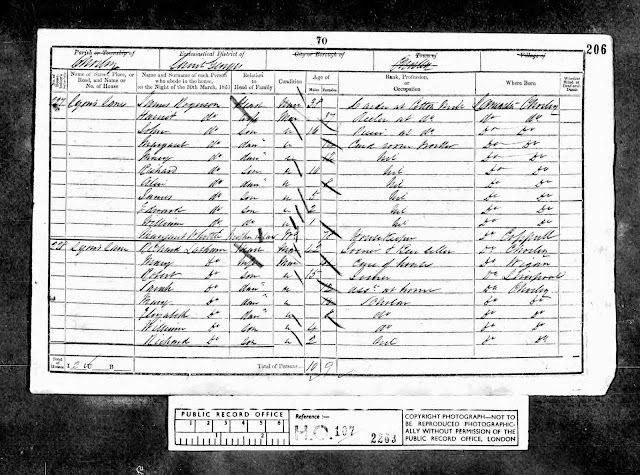 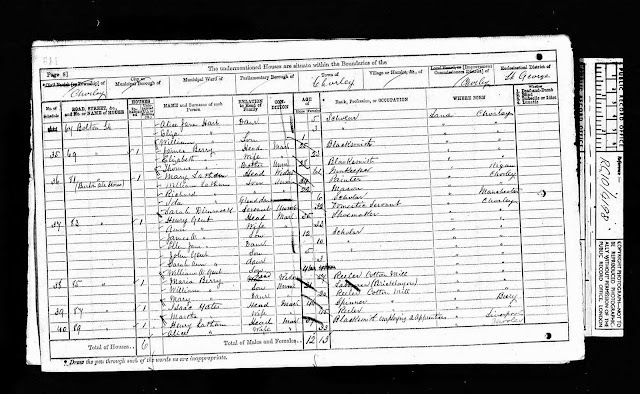 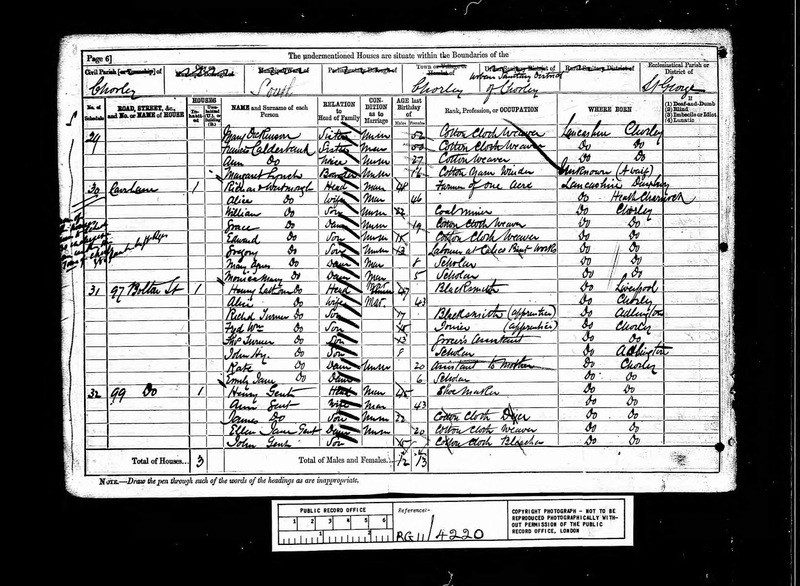 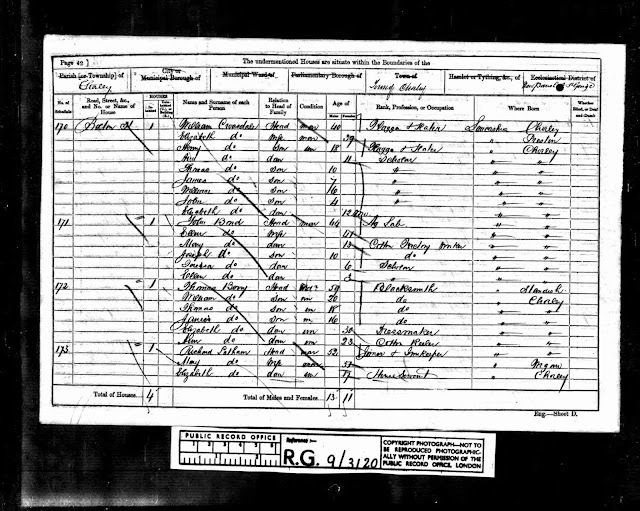 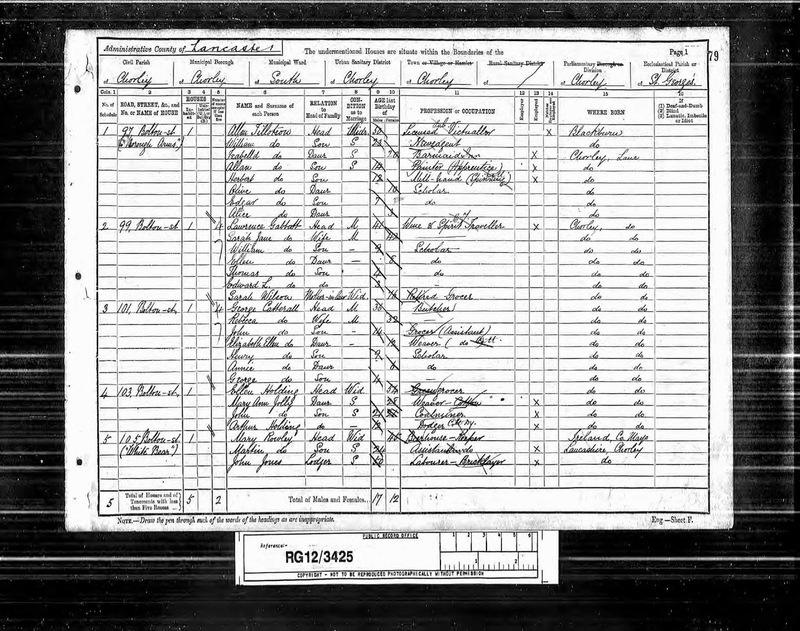 By 1901 William had passed away leaving widow Ann running the hotel. 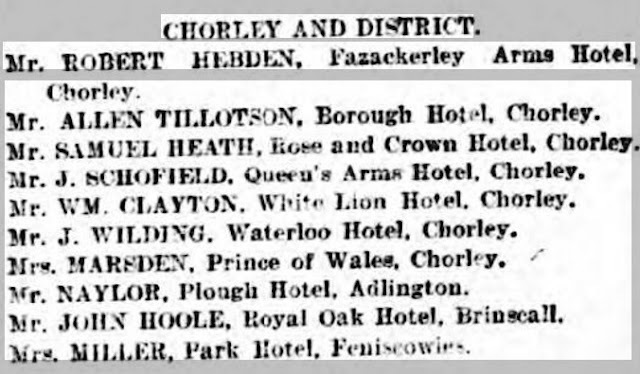 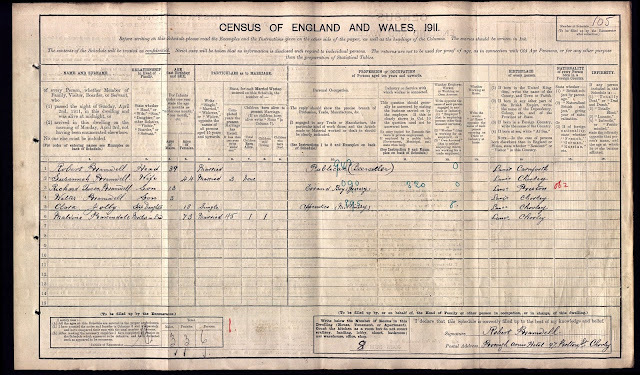 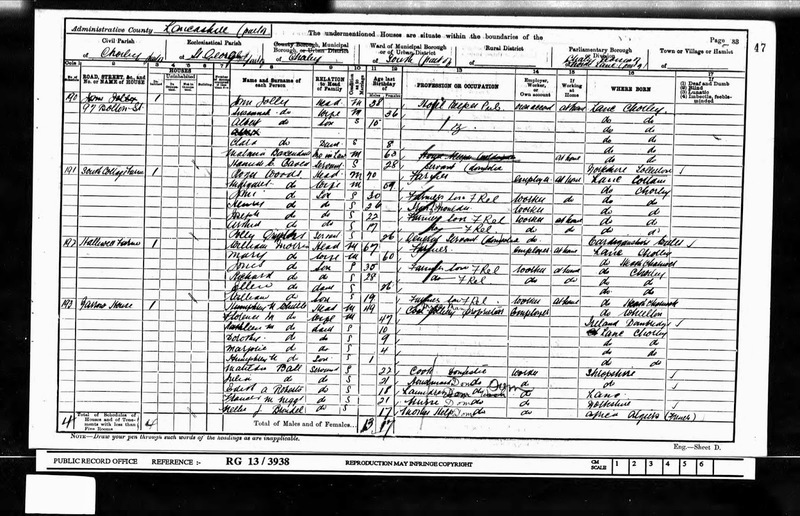 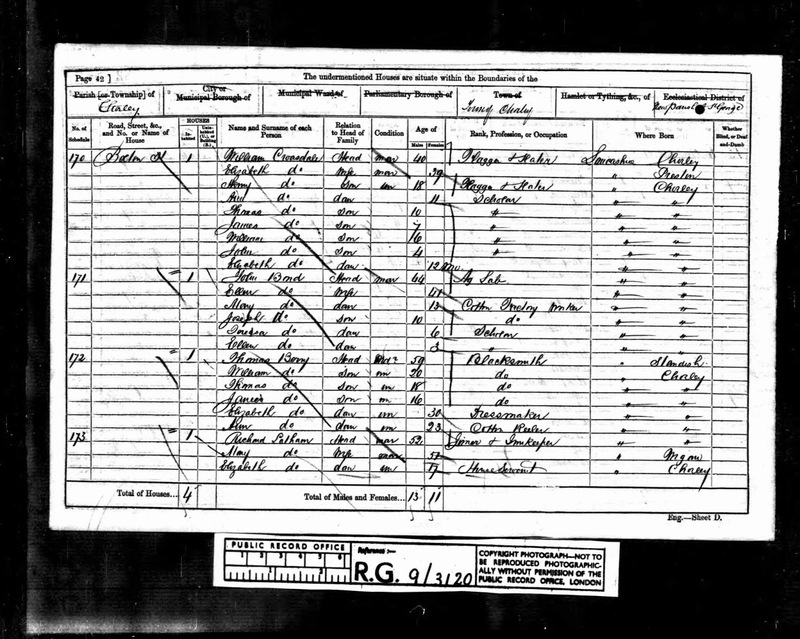 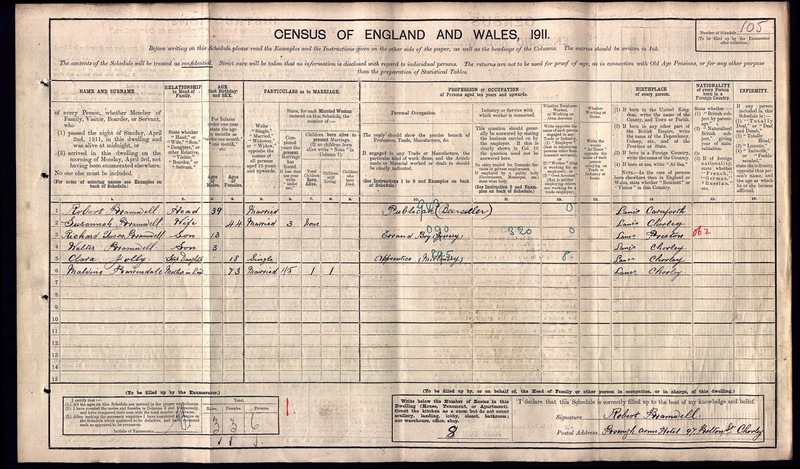 James Holbrook is listed on the directories as landlord in 1936. 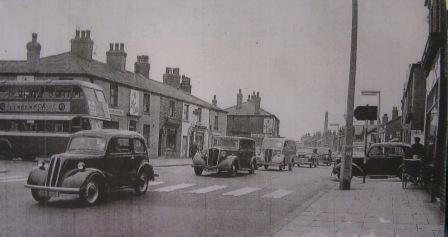 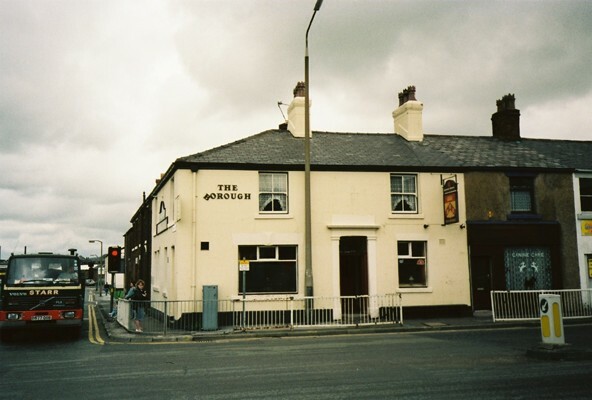 The pub w eventually demolished to make way for the Chorley bypass road (1980), which saw the end of several other licensed premises on Lyons Lane and Clifford Street including the Castle Inn, and Robin Hood Hotel.